Four states have canceled or delayed $780 million in transportation improvement projects and another nine say over $1.8 billion are at risk because of continued uncertainty over whether Congress will take action soon to fix the ailing Highway Trust Fund (HTF). The Washington, D.C.-based American Road & Transportation Builders Association (ARTBA) reviewed news reports, public statements and testimony from state officials to compile the list featured in a March 24 report. On average, the HTF is the source of 52 percent of all highway and bridge capital investments made annually by state governments. 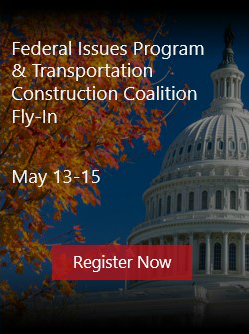 Funding for the federal highway and transit program expires on May 31 unless Congress acts. The HTF has suffered five revenue shortfalls between 2008 and 2014, and the next cash crisis is expected to occur in summer 2015. So far in 2015, four states—Ark., Ga., Tenn. and Wyo.—have shelved $779.7 million in projects due to the uncertainty over federal funds. Nine states—Colo., Conn., Miss., Mont., Neb., Nev., Pa., Vt., and W.Va.—have expressed concern over the feasibility of future transportation infrastructure projects totaling more than $1.8 billion if Congress does not act before May 31. ARTBA expects more states will make similar announcements as the deadline draws nearer. Last year, before a last-ditch effort by members of Congress led to an extension of MAP-21, DOT officials in 35 states publicly stated that they would be impacted by the precarious HTF situation. “It’s déjà vu all over again as Yogi Berra would say,” according to ARTBA President & CEO Pete Ruane. “This is one of the most easily avoidable crises because Congress has known the May deadline was coming for about eight months. Yet, here we are again flirting with another economic meltdown in the peak of the construction season,” he added. Editor’s Note: The ARTBA report can be found in “current issues” of ARTBA’s government section of www.artba.org.